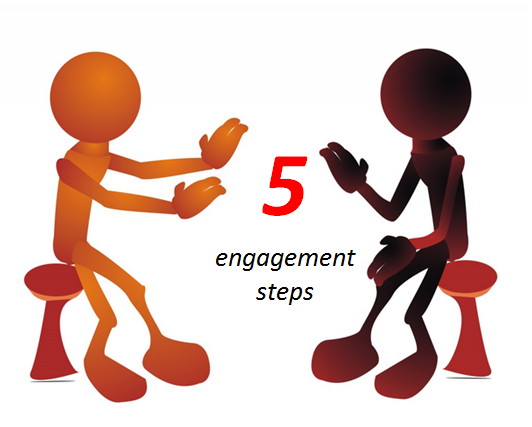 Gaining idea engagement can be a five step process. I have been recently revisiting Everett Rogers work on diffusion and adoptions recently, evaluating if it has the same relevance in my mind in our more connected world, where speed, knowledge and exchanges are measured in micro seconds. This reminded me of a suggestion I made some time back and I thought I’d ‘air’ this again for engaging with others. We constantly fall into the trap of not providing our listener enough of a reason to ‘buy into’ our thoughts. We forget to either pitch it to their mental framework or we do not provide a set of compelling arguments that allows our idea a mutual recognition of its value or structure, to take it forward and transform it into something tangible and valuable. I think using Rogers rate of diffusion principles you can end up offering a fairly powerful positioning statement. You can also offer a simple framework in this five point plan the chance to break down differences you might both hold, to build on the ‘evidence’ from a mutual recognition in the discussion on what your idea holds as potential promise. It can be transformational as a way to approach engagement. 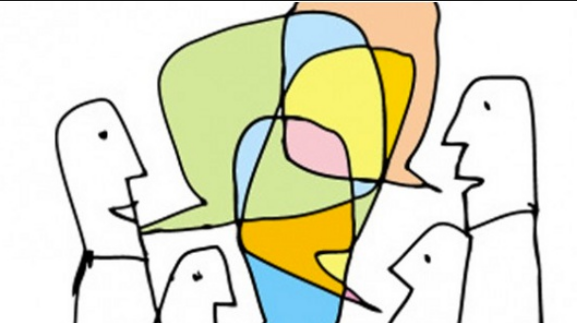 The five steps in engagement to map your conversations. To get anyone out of their own thinking trap we need to associate our thinking to what would be valued by them, we have to make the value connections . What we must always offer in any conversation is a clear relative advantage to what is presently available, so we can gain their permission and identification. Then we can set about to explore these better alternatives, to clarify their progress and gain general ongoing acceptance or questioning. Either way it becomes a mutual engagement. 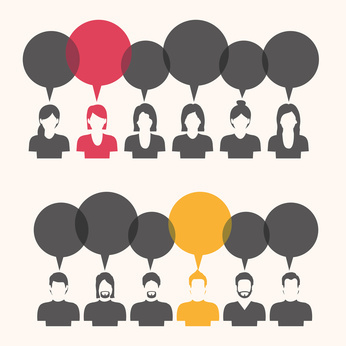 Stressing the ideas advantage by making a comparison, does allow for the chance of engage in a worthwhile conversation. Timing, circumstances and its value to the other person always need considering here. “Relative” becomes the critical word here. If we can offer compatibility with our own and other people’s existing values, and explore a migration path from their past experiences we might get more space to experiment. We need to draw others in and so we have to align ourselves to their experiences to frame it to their thinking bias. This becomes a job-to-be-done on unearthing unmet needs or the needs that can be improved upon. The job-to-be-done thinking is a great practice methodology to achieve adoption. The new tools, methods and different techniques becoming increasingly available to us, can certainly help us to explain complexity to reduce the perceived difficulties of adopting new practices. The whole gambit of gaming, the canvas techniques, visual mapping, design thinking all help considerably here. Any argument, discussion or position needs to simplify complexity as the one listening quickly ‘tunes out’ if we load the conversation with “too much detail” or jargon. We then can offer new ways for trialability to experiment in safe and limited risk ways. Lay out a clear path of experimentation and result milestones to manage expectancies and gain increasing support commitment. Steve Blank’s contention of “getting out of the building” and his customer development process offers one of many ways to learn, pivot and progress in bite-sized steps. Finally, we can provide observability, so others can see the results we can make progress. By keeping this open, it can be clearly challenged and blocked in many ways but openness and transparency does eventually reduce resistance. If we can clarify change and our progress in learning we give others understanding. It is when we fail to communicate what they need to hear, we are more likely to be blocked or our project cancelled. We need to ‘demonstrate’ progress and show its value. Everett Rogers five steps might offer up a possible pathway to unlock much within innovation and reduce our different personal biases that can trap our ideas to not allow them to be seen in their real value to move forward, and be supported by others, as they gain their essential engagement and buy-in. What do you think? It’s worth a try to build your own engagement stories around the five principles suggested. Give it a trial the next time you want to bring others onto your side and look to construct a mutual engagement.